Dr. Gavin Smith’s research interests include hazard mitigation, planning for post-disaster recovery, and climate change adaptation. Translational activities include advising international, federal, state and local governments on a number of issues including the linkage between sustainable development and risk reduction, pre- and post-disaster policymaking, and improving the nexus between disaster management initiatives and emerging climate change adaptation measures. 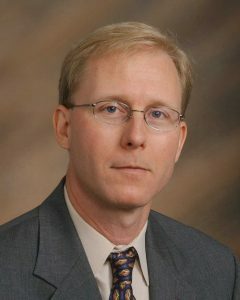 Dr. Smith was the former the Director of the Department of Homeland Security Coastal Resilience Center of Excellence (UNC Coastal Resilience Center) and the Department of Homeland Security’s Center of Excellence – Coastal Hazards Center. The UNC Hazards Center research focus areas include: modeling, land use planning, technology applications, the social implications of hazards and disasters, environmental hazards management, law and policy, public health, business, and economics. The Coastal Hazards Center research focus areas include: hazard modeling, engineering, human behavior, and land use planning. Dr. Smith is currently engaged in planning-related research within the center, focused on a national evaluation of local and state hazard mitigation plans, as well as the study of disaster recovery plans and policies. Dr. Smith is an Associate Research Professor in the Department of City and Regional Planning at the University of North Carolina at Chapel Hill. Last year, he completed the text, Planning for Post-Disaster Recovery: A Review of the United States Disaster Assistance Framework (Island Press 2012). Dr. Smith is currently serving as the co-editor of the text, Climate Change Adaptation: Lessons from Hazards Management Planning (Springer 2013). Dr. Smith served as the Assistant Director for Hazard Mitigation in the State of North Carolina. During his tenure with the Division, the Mitigation Section administered mitigation and disaster recovery grant funds in excess of 800 million dollars associated with ten Presidential disaster declarations, leading the acquisition and relocation or elevation of over 5,000 and 500 homes respectively. Following Hurricane Floyd, Dr. Smith served as an advisor to Governor Hunt on policies and programs associated with long-term recovery in North Carolina, including the development of 22 state programs that addressed local needs not met by federal assistance.